The Department of Economic Development - Ajman (DED-Ajman) was awarded the ‘Golden Star Award for Customers Happiness’ during a recent special ceremony. 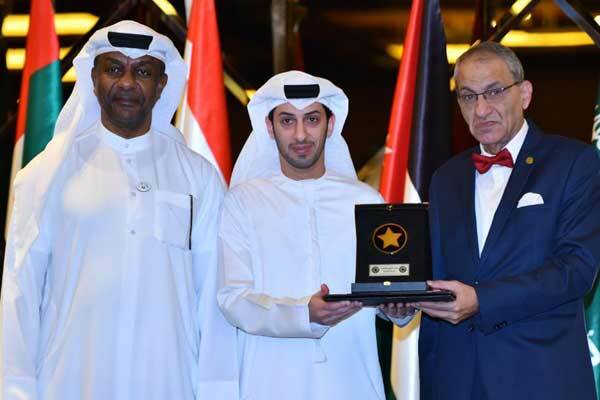 The event was organised by the Arab Centre for Intelligent Services and Innovation Technologies in partnership with the Excellence Awards Academy, said a statement. The award was given in recognition of the department's excellence in providing integrated digital services to customers, which complement the government's efforts to promote a culture of innovation and smart transformation to help bring happiness and satisfaction to customers, it said. “Rest assured that the department will remain steadfast in its commitment to be at pace with the Government's directives towards focusing on customer and facilitating business licensing procedures aimed at bringing happiness to society and promoting the competitiveness of the national economy,” he added. Over the last few months, DED-Ajman successfully launched many smart services, including the issuance of instant licenses for individual companies via its website and a smart application that takes only five minutes to be completed. This also includes renewing and inquiring about the license data. Commercial fraud complaints have also been transformed into a smart service, as well as the commercial permits and reservation of commercial names.